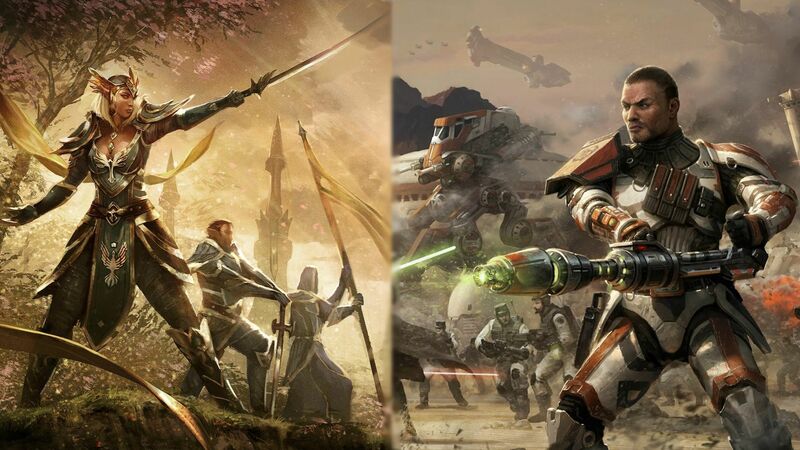 As of right now I plan on going Jedi Sentinal but I have been thinking about Jedi Guardian. The reason I left was do to the fact that I needed a change and I left the game. I parted on good terms with everyone though. To be honest I never really got into the end game due to the fact that once content is coverd it was very hard to catch up to everyone else. That really didn't stop me from enjoying the game as much as possable or learn how to do my job/class well. I honestly can say I've never been an "offical" officer in my guild but I have takin on the responsibility of one for a short time. Reason I didnt stay as one was do to my work restraints. I am just happy to fall in line with the rest. Well I read through your mission statement I guess and I just want to be part of a guild thats VERY gung-ho about everything, I miss that most of FFXI. I expect a friendly yet serious form of mind from a guild and I believe I would get that from this one. I've had a bit of experiance role-playing for a few months a couple of years ago during my D&D days. The only real problem Is the start after that it all flows like a harpoon. Nut mostly I would like a fair easy role-play start. Well Like I said earlier I was an officer for a short while. After I stepped down from my post as an officer I took up starting static partys. (It was were people in our guild could get together at specific time with the same people and party, either leveling or trying to get story done) In this guild I would bring some of that if possable. Also I am looking to get into crafting with this game. Someone willing to put forth an effort, someone who is honorable and trustworthy. I have visited the website and I have read over the Charter, Mission Statement and Rules of Conduct. *Right hand over heart* I DO! My only real concern Is that after a certain amount of time I do wish to play darkside Just for the story but I will never abandon my main or guild. Would I say that I embody those characteristics? Well I could say "Yes, I do" like everyone else but to me personally I would rather show (in game) what they mean to me and how I define them. But If you must I will tell. Respect: How one treats and is treated. I am a firm believer of giving respect to people, peers, off the bat but through actions people lose my respect. Honor: I believe that this sorta goes hand in hand with respect in a sense. I also believe that honor is based on ones words. If I say I will be there, I will be there. Loyalty: Is something given to a leader and return respect or even support should be givin from said leader. I would like to say that I have loyalty due to the amount of work I put into this application. I think it shows dedication, and that, to me, is the building blocks of Loyalty. Maturity: Not acting like a child? No starting arguements that sort of thing. Also If there are plans be there. If you have real life commentments let leader of said activity know a head of time. Well I have a great in-game story. So I was playing Final Fantasy XI and I was camping a mob as my paladin for one of my low level classes. I noticed an exp party that was wiping pretty bad so instead of camping my mob I just stood back and helped heal the party. Due to that, I gained a few friends and I found my guild that I was in for awhile. Well I am going to try to answer this as best as possible. For starters I would assess the situation regarding how many sith there are. If it is a small camp of 5-8, I would (presuming we have a "stealth" player) send them into the rear. As soon as said player is in position, I would have my dps rush into battle followed by the tank and healer and storm the camp while the other is working their way to the group. I am a joker as one would put it but I am also serious at times. I am very light hearted but when crunch time comes you can count on me. Welcome my friend. Very good app. Good app, hope you're going to be accepted. That was an unusually good app. I hope you don't end up being a spy, because you seem cool. Also, you will fit in nicely around here, seeing as how we like to laugh and joke. Good luck! Thank you guys I appreciate the comments I put a lot of work into my application. Also do not worry Tal Cor I am not a spy, I just want a good home. First of all, we'd like to thank you for your interest in joining the Army of Light, and considering us as your home as you start your endeavor in Star Wars: The Old Republic. Your application will be reviewed by the Recruitment Council and should get back to you within the next 48-72 hours. 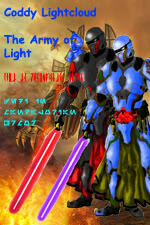 Second-In-Command of the Army of Light. Location : The Big State- TEXAS!!!! They Very Well May Be Your Last!!!!! Ha, I dig your self appraisal. Most of my favorite characters have had that attitude!! You will also wish to visit these Forums frequently, as much of our information is passed through this medium including news, polls, debate,etc. Congrats man, welcome to the guild! Anyway, glad you're accepted mate. Thanks for all the warm regards guys. I appreciate it. just a quick question.. when Jephos says post an introduction to yourself in the RP forums, does he mean the personal introduction or an actual RP introduction? New Members Introduction section. But if you want to put something under Members Biographies I highly suggest that too.